The Sports Hub Charity Fitness Workout is the first-ever mass charity fitness workout held within the iconic National Stadium! 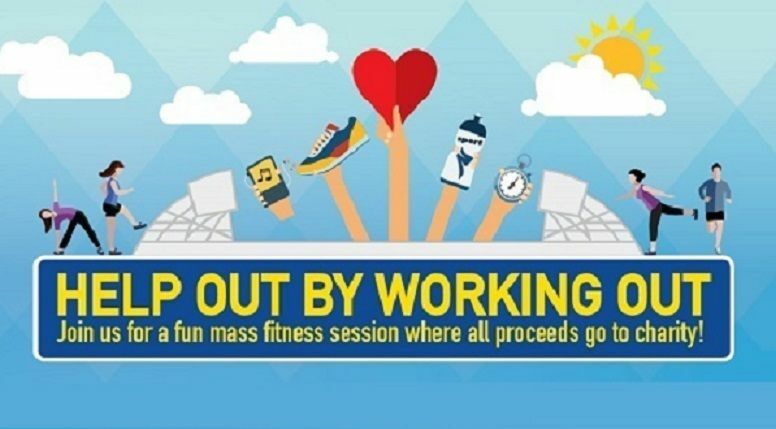 Be part of the Charity Fitness Workout and try all four workouts! Exercise and dance through a 4-hour fitness menu conducted by instructors from ActivFitness, Anytime Fitness & Kulture! Groove to a mix of Latin and World rhythms in Zumba and learn basic dance steps in Fancy Footworks! Keep burning those calories with Piloxing (a combination of pilates and boxing) or challenge yourself and execute a variety of yoga poses! It's time to help out by working out! Register for the Sports Hub Charity Fitness Workout! Organiser reserves the right to make changes without prior notification.